I don't know much about witch hazel but have been looking at thayers. I think the alcohol in aftershave splashes gives me irritation so im wondering which witch hazel to get. They have an alcohol free version but I haven't heard a single bad thing about their original formula that contains alcohol. Anyone have any insight? I use witch hazel with alcohol, and buy whatever generic is available. However, I've never seen a generic without alcohol. witch hazel is typically 14% alcohol so you should probably look for alcohol free options. If you want soothing without sting try the alcohol free. It's good stuff. You may also want to look at Dickinson's. The quality is equally good imo, and it's nearly half the price. I got some witch hazel from wildcrops.com. It's more expensive, but for me it is more soothing than any of the others. It also smells just a bit more "musty" than the regular retail ones. My friend swore by witch hazel and he had sensitive skin. Must be something to it. Thayer's Cucumber. I have used countless containers of this and its alcohol free. Highly recommend! (10-07-2018, 02:48 PM)eengler Wrote: Thayer's Cucumber. I have used countless containers of this and its alcohol free. Highly recommend! Don’t buy store brands. Many contain acetone. 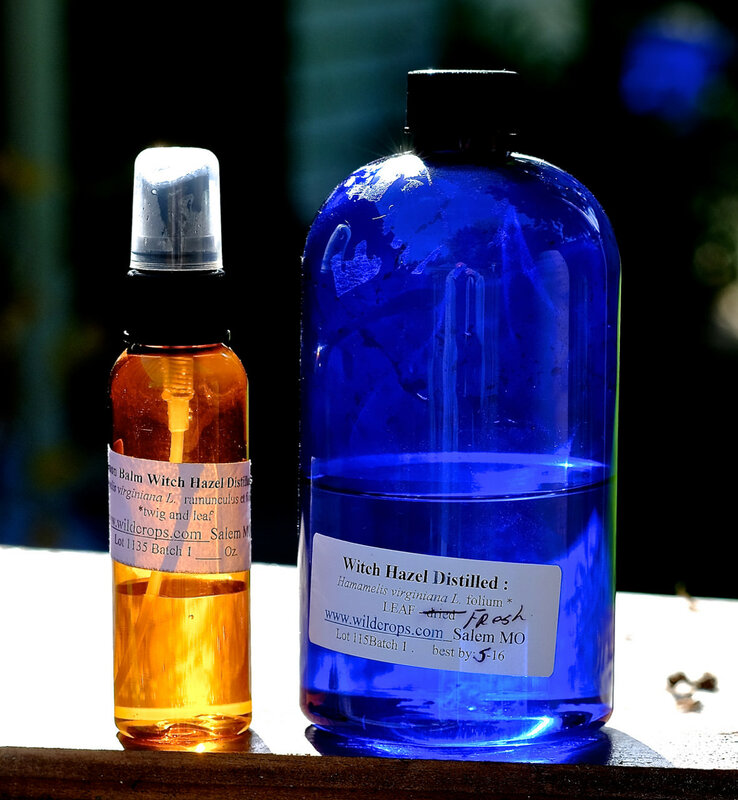 All Thayers Witch Hazel products are EXCELLENT and highly recommended! You cant go wrong with any choice you make and they have a great selection to choose from. The cucumber and lavender are my two favorites. Both happen to be toners that are alcohol free. I believe the ones that are astringents contain just 10% alcohol & the medicated one 20%. Hope this helps. Thayer's is good stuff. I find it to be great at soothing the skin but isnt harsh at all. (10-07-2018, 02:34 PM)churchilllafemme Wrote: I got some witch hazel from wildcrops.com. It's more expensive, but for me it is more soothing than any of the others. It also smells just a bit more "musty" than the regular retail ones. Alcohol free. Doesn't have that "witch hazel scent" of the drug store ones. What's the purpose of the alcohol in it? Disinfectant? (10-08-2018, 06:41 PM)Gravity Wrote: What's the purpose of the alcohol in it? Disinfectant? I have tried a few Thayers products, but not any alcohol-free. No burning feel, the percentage they contain is very low. One I wouldn't recommend is the Medicated. Not because of the higher alcohol percentage, it still very low anyway, you won't feel any burning, but because of the scent. It smells like Vicks. That camphor scent is very intense and most will dislike it. I gave it away. I'd say go for the Original. No detectable scent and it does the job greatly. I take store brand and add a little fragrance oil or cologne to it . I had some samples of the SV shave balm line, little one use foil pack, I mixed it with witch hazel, made up some scented witch hazel. Thayers for me as well. The reason so many health/wellness stores carry it, is that it is cold water extracted instead of steam distilled. The beneficial ingredients are not distilled out. A least that's what the people that work the stores tell me and the Thayers website confirms..
(10-09-2018, 02:44 AM)nikos.a Wrote: I have tried a few Thayers products, but not any alcohol-free. No burning feel, the percentage they contain is very low. Oh my goodness, it smells terrible. I think I have a partially used bottle of it in my cupboard somewhere. Can't stand it.